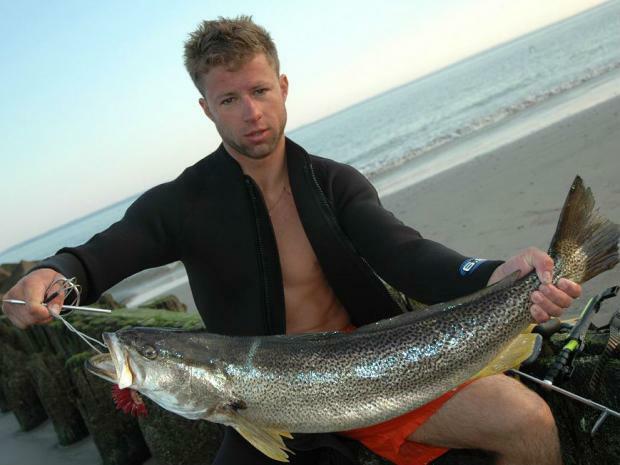 QUEENS — The death of a Staten Island spearfisherman has led to an outpouring of grief from friends and colleagues in New York's spearfishing community. The body of 29-year-old Staten Island resident Yevgeniy Glebov was found in Breezy Point Tuesday morning by the NYPD's Harbor Unit, four days after he went missing while fishing and snorkeling. Members of the Spearboard.com message board mourned Glebov's passing this week. "He was very kind, and he was always there to help," said Yuri Krainov, 48, who said he fished with Glebov once or twice a week. "You don't really meet too many people like this in New York." A nine-page thread devoted to the memory of Glebov, whom everyone called Eugene, characterized the diver as an active and happy man who loved the sport. "His enthusiasm was contagious," said a poster with the handle paddow. "This is just so sad." "I've dove with him many times. From breezy to montauk," said poster Rob1982. "He was a great diver and knew the area better [than] anyone." Board member Dave Abel, 41, who said he lost a close friend in a similar fashion in 2001 in North Carolina, would trade pictures with Glebov of the fish they caught. Abel said that their interactions on the board left an impression on him and others. "Everybody always looked forward to his posts," Abel said. "He just seemed like a cool guy who was happy to be out diving and really enjoyed the sport." After the announcement of Glebov's death, family and board members immediately started planning events to remember the diver and support his family. On Saturday, immediately following a funeral at the Lisovetsky funeral home in Midwood from 10 a.m. to 2 p.m., those who knew Glebov will head to Coney Island, where guests are asked to bring orange buoys to throw into the ocean, according to the event's Facebook page. And on Oct. 7, there will be a memorial fundraiser in Southold, LI, with admission and raffle proceeds going to Glebov's family. Board members have donated equipment, a subscription to a spearing magazine and even a dozen lobsters to help raise money. "The people are so responsive to this tragedy," Krainov said. "He would be really happy."